Congratulations to all our new graduates! Please remember to clear your fines and return any outstanding library materials prior to convocation. All fines can be paid to the Library at the Circulation Desk, either by cash, Interac (debit), VISA, MasterCard, American Express or the Ryerson OneCard. 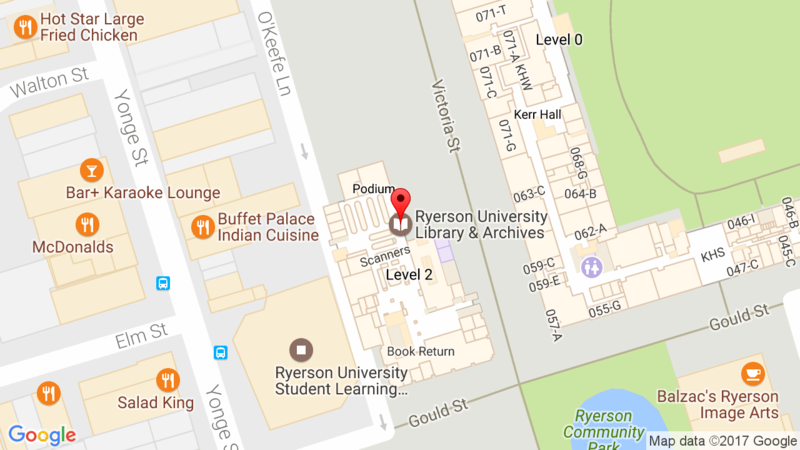 The Library also accepts payment from the above credit cards by phone; please call 416-979-5055, “Option 2”. Alumni can continue to borrow from the Library’s print collections by paying an annual $50 fee. For more information on library services for Alumni, please visit the Library website.